Aphrodite the goddess of love or Chloris the goddess of flowers? I am guessing she is Aphrodite who cherished roses for eternity after Chloris created them. 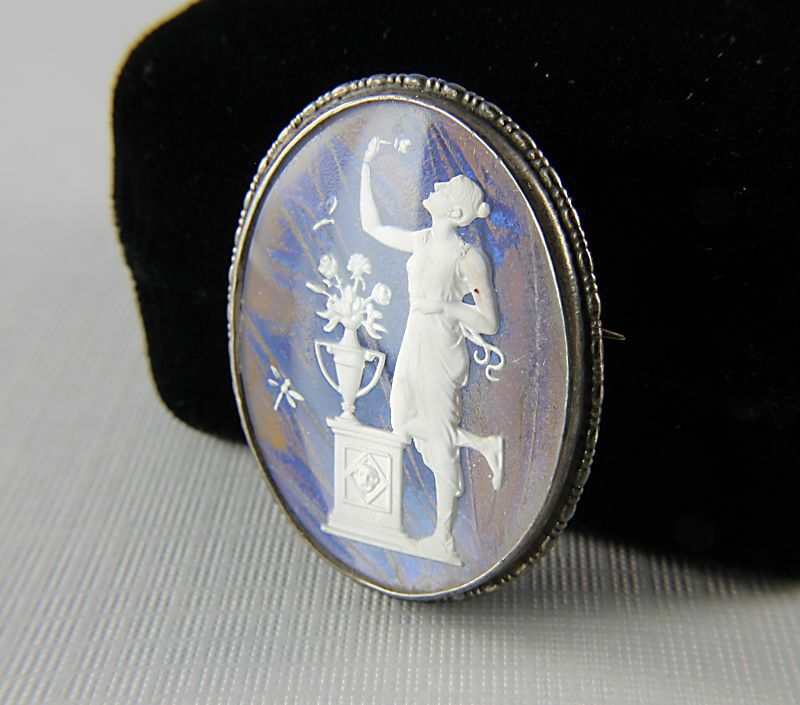 This magnificent art deco cameo brooch is made of sterling silver and is marked Silver 12 England. 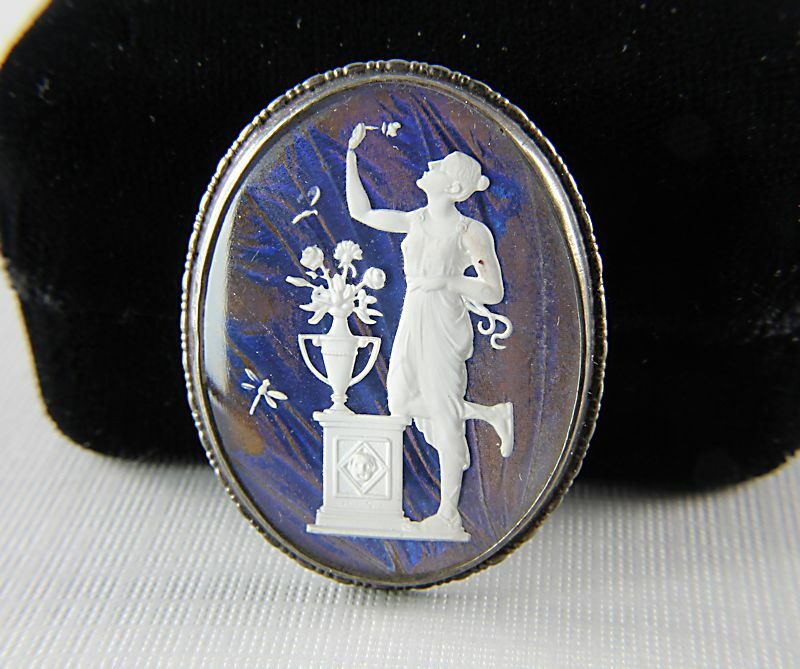 The cameo itself is made of sulphide with beautiful and intricate detail and is set on a butterfly wing background. The glass cover is domed and perfectly set in the bezel frame. 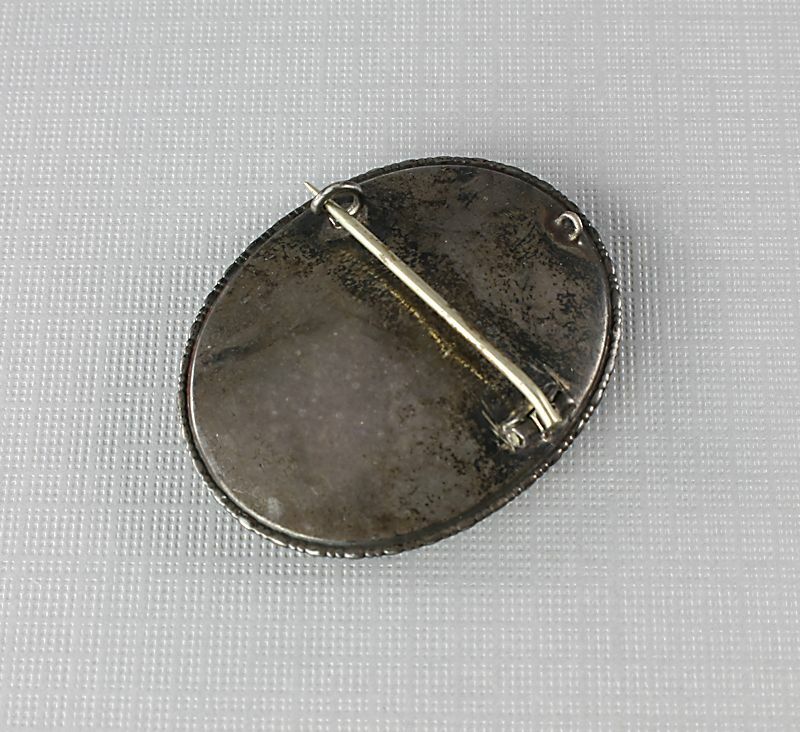 Brooch measures 1 1/2 inches by 1 3/16 inches and has a C clasp. There is a small silver ring at the top which can be used to suspend a chain giving the piece another degree of versatility. 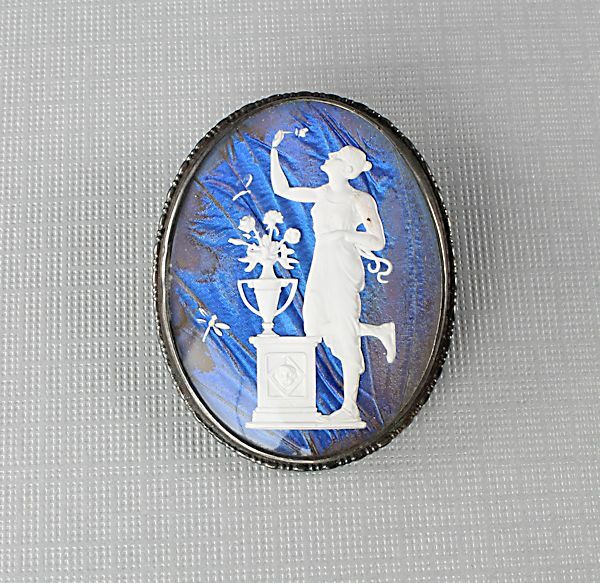 The dark spot on Aphrodite's is under the glass which shows no damage whatsoever, this must have happened when the brooch was originally assembled. Exquisite old piece and rare since it combines the use of butterfly wings and cameos. In very good vintage condition, with a glorious old patina.